After decades of almost unrestrained growth to become Europe’s largest airline in passenger numbers, Ryanair now must cope with disruptions considered standard for legacy carriers across the region: labor unrest and unionization of crew. Some Irish pilot members of the Fórsa union called a strike for July 24, their third 24-hour strike this month, and cabin crew in Belgium, Portugal, and Spain called for walkouts on July 25 and 26 over a list of grievances varying from lack of “meaningful engagement,” pay, and work conditions to Ryanair’s refusal to hire cabin crew under local, rather than Irish, contracts. While this week’s industrial action will affect only 5 percent of its more than 290 Irish flights on July 24 and 300 of its 2,400 daily flights systemwide on July 25 and 26, the LCC admitted more disruption appears likely. “We expect further strikes over the peak summer period as we are not prepared to concede to unreasonable demands that will compromise either our low fares or our highly efficient model,” Ryanair CEO Michael O’Leary said Monday as the company released results for the quarter ending June 30. O’Leary warned the LCC will need to review its winter schedule at affected bases if strikes continue to damage customer confidence and forward yields. The fleet reductions might lead to job losses in some markets, he stressed. Labor unrest has lingered for some time, but Ryanair’s pilot rostering disaster last year resulted in a culmination of demands and much more organized labor representation. It has since signed pilot and cabin crew union recognition agreements in some of its major markets such as the UK and Italy as well as an agreement in Germany for cabin crew, though smaller markets have seen slower progress, O’Leary acknowledged. 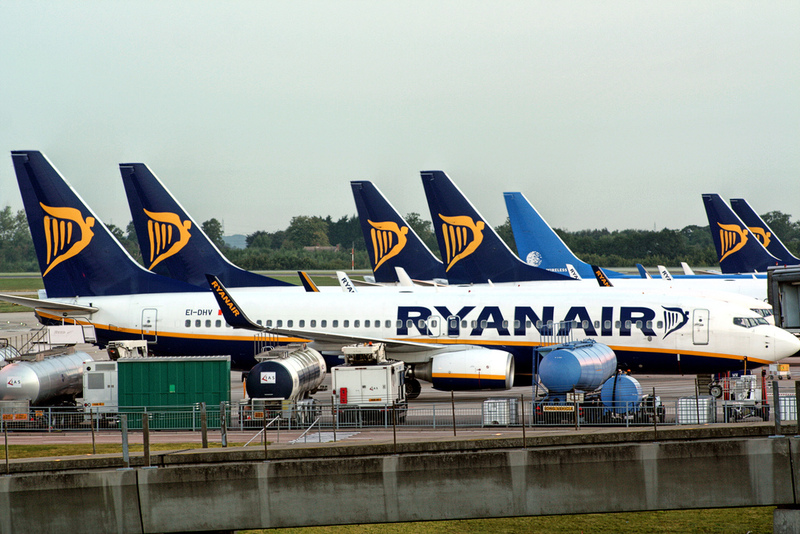 Meanwhile, higher staff costs and a spike in costs to compensate passengers for delays and flight cancellations under EU law took a bite out of Ryanair’s profits for the three months ending June 30. Net profit fell 22 percent on previous year’s period to €309.2 million. Staff costs rose 34 percent year-over-year, primarily due to a 20 percent pay increase for pilots, and a 40 percent jump of the EU-261 “right-to-care” costs. A big chunk of the costs resulted not from its own actions, but from air traffic controllers strikes. Revenue rose 9 percent, to €2.1 billion, on a 7 percent passenger growth to 37.6 million.